K Kaleidoscope, The Killing of a Chinese Bookie. Oceans 13 (2007), Owning Mahowny. Know a film that should be here? Then with why. 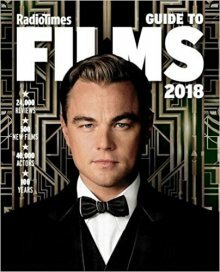 The best and heaviest guide to films. Has good cast lists for sorting out those "Who is that" questions. Ideal for checking out obscure films on late night television. With Time Out stillborn you have to rely on this weighty brick for many facts and some opinions. The reviews are more mainstream and less esoteric than Time Out's but to have this at your fingertips when IMDB is down will always be a source of comfort. A 'must have' book for anyone interested in Films; Actors and Directors. Easy to use as a cross reference library, however, to stay up to date a new copy is advisable every three or four years.